Fabulous Opportunity to get your slice of paradise! Great spacious 2 bedroom/2 bathrooms on the first floor. This condo offers two master suites-great for rental or roommate situation, tile flooring throughout. Ac was recently changed and All appliances remain. The Enclave of Naples has many great amenities including community pool/spa, tennis, fitness center, racquetball, business center, newer picnic/BBQ area, bike/jog path plus a dog park. 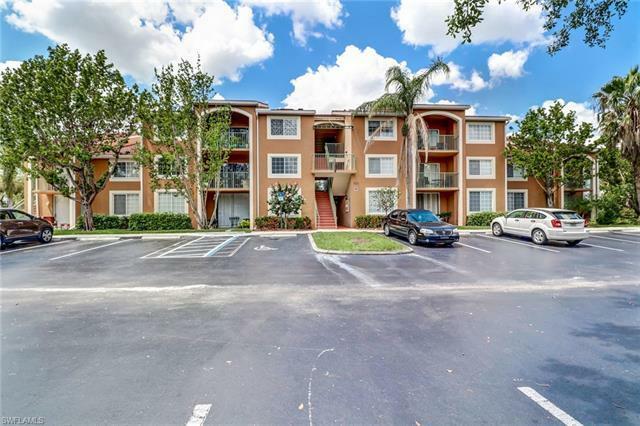 Gated community with resort style amenities at a great central location 15 minutes to downtown restaurants, shopping, the arts and Naples sugary beaches. Great Location! Don't miss it! TENANTS MOVE OUT so there is NO FURNITURE ANYMORE as shown in the pictures. HOME WARRANTY AVAILABLE FOR THIS CONDO.PREVIOUS BUYERS FINANCING FELL THROUGH NOTHING TO DO WITH THE CONDO.